I received notice that the no-annual fee Chase Ink Business Cash Card and the Chase Ink Business Unlimited Card will have their offers refreshed tomorrow. Chaikel and DoC point to rumors that the cards will lose their signup offer of 0% intro APR on purchases and balance transfers for the first 12 months that the card is open. It’s not surprising to see that offer go away in an era of rising interest rates. It’s a lucrative offer as carrying balances on consumer cards can have a very harmful effect on your credit score, but because the Ink cards are business cards, those balances won’t hurt your credit score. Both cards currently offer their highest ever signup bonuses that are practically unheard of on no annual fee cards. It’s unknown if the signup bonus offer will be changing. Previously the Ink Cash signup bonus was $200-$300 in the form of 20K-30K Chase Ultimate Rewards points. The Chase Ink Business Cash Card is currently offering $500 in the form of 50,000 Chase Ultimate Rewards points after spending $3,000 within 3 months. This is an excellent card for people willing to spend the time to make purchases in the bonus categories offered on this card. You’ll earn 5 points per dollar spent at office supply stores and on internet, cable, and cell phone bills on up to $25k/year. It also earn 2 points per dollar on at gas stations and restaurants on up to $25k/year. Office supply stores sell gift cards for hundreds of other stores, from Amazon to Uber to Visa gift cards that can be used anywhere, so you can rack up the points by shifting your spending to these gift cards. 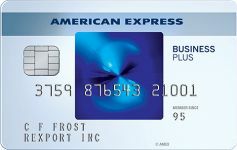 Pair this card with a Chase Sapphire Reserve Card and you’ll be earning a minimum of 7.5% back via gift cards bought from office supply stores or on any other spending at office supply stores and on internet, cable, and cell phone bills as the Sapphire Reserve allows you to redeem your points at a minimum value of 1.5 cents each. Transfer your points into miles and redeem them at a value of 2 cents each to effectively earn 10% back on the 5 point categories. The Chase Ink Business Unlimited Card is currently offering $500 in the form of 50,000 Chase Ultimate Rewards points after spending $3,000 within 3 months. This is an excellent card for anyone trying to maximize their everyday spending. It fulfills the same function as the Chase Freedom Unlimited card by earning 1.5% back everywhere in the form of 1.5 Chase Ultimate Rewards points per dollar everywhere. As the Ink Unlimited is a business card, you won’t hurt your credit score with your spending and it offers a higher signup bonus than Freedom Unlimited. Pair this card with a Chase Sapphire Reserve Card and you’ll be earning a minimum of 2.25% back everywhere as the Sapphire Reserve allows you to redeem your points at a minimum value of 1.5 cents each. 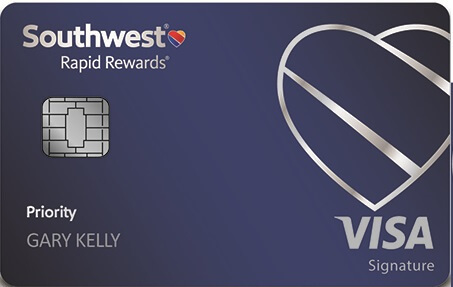 Transfer your points into miles and redeem them at a value of 2 cents each to earn 3% back everywhere. The Ink Cash and Ink Unlimited signup bonuses are marketed as $500, but it will actually come in the form of 50,000 points which are worth $750-$1,000 when points are transferred into miles with the help of someone in your household having a Chase Sapphire Preferred, Chase Sapphire Reserve, or Chase Ink Business Preferred. The Chase Ink Cash card is part of my Chase Quinfecta and is highly recommended for anyone trying to maximize their spending.It earns a whopping 5 points per dollar at office supply stores and on internet, cable, and cell phone bills on up to $25k/year. It also earn 2 points per dollar on at gas stations and restaurants on up to $25k/year. You can earn the bonus points on up to $25K in annual spending on the 5 point categories and up to $25K in annual spending on the 2 point categories. Again, these categories are advertised as 5% cash back and 2% cash back, but you will actually get 5 or 2 Chase Ultimate Rewards points per dollar spent in those categories.You can even earn 5 points per dollar for cell phones that are charged on your bill or bought from sites like Samsung. You can earn 5 points per dollar for hundreds of other stores by buying gift cards at office supply stores like Office Depot/Max and Staples. 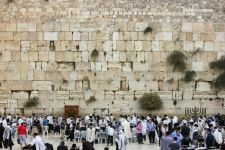 If you shop at Amazon, Airbnb, Bed Bath & Beyond, Bloomingdale’s, BP, Cabela’s, Delta, DisneyLand/DisneyWorld, eBay, Express, Gap, Google Play, Groupon, Home Depot, iTunes, JCrew, Kohl’s, Lands End, LLBean, Lowe’s, Macy’s, Marshalls, Nike, Nordstrom, Safeway, Sears, Shell, Southwest, Starbucks, StubHub, Target, TJMaxx, Uber, Whole Foods, and much more, you can be earning 5 points per dollar by buying their gift cards at office supply stores on an Ink Cash card. Some gift cards are available online and many more are available in store. Office Depot/Max and Staples often run promotions to save even more on Visa gift cards. Your local school or charity will be more than happy to accept donations of Amazon gift cards for supplies or any other useful gift cards for chinese auctions, raffles, fundraisers, etc. They will give you a tax deductible receipt for the full face value-the price you paid for the gift cards. And at the same time you’ll earn 5 points per dollar. So while doing good you can still get a nice chunk of points and you’ll save on your taxes! The Chase Ink Unlimited card is also a critical part of my Chase Quinfecta and is highly recommended for anyone trying to maximize their spending. 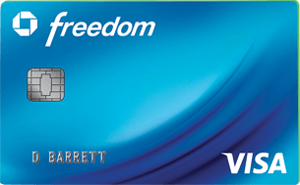 It fulfills the same function as the Chase Freedom Unlimited card by earning 50% bonus points, or 1.5% cash back or 1.5 points per dollar everywhere. These are business cards, but you may already have a business that needs a card to keep track of expenses. For example if your name is Joe Smith and you sell items online, or if you have any other side business and want a credit card to better keep track of business expenditures you can open a business credit card for “Joe Smith” as the business. You don’t need to file any messy government paperwork to be allowed to do that. Just be sure to select “Sole Proprietorship” as the business type and just use your social security number in the Tax Identification Number field. It’s important to just write your own name as the business name if you are just applying for your own small business as a Sole Proprietorship that doesn’t have any business paperwork. If you’re like me and you run more than one business, you can signup for multiple of the same card for each business to manage each businesses expenses separately. 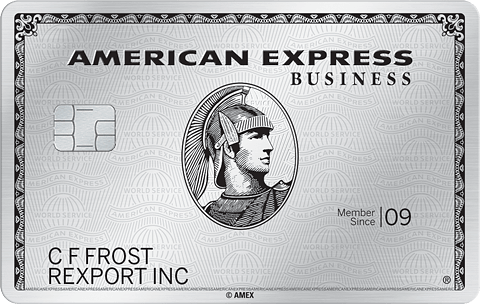 You can receive a signup bonus on each type of Ink card once every 24 months for each business that you manage. All Chase cards appear to be subject to 5/24 restrictions. That means it will be hard to get approved if you have been approved for 5 or more consumer credit cards in the past 24 months. Read more about that here. However, it’s important to note that business cards from most banks, including Chase business cards, do not get added to your 5/24 count of recently opened cards. That’s because business cards from most banks don’t show up on your personal credit report and the 5/24 count is based off of your personal credit report. That means that applying for these cards won’t “hurt” your 5/24 count. Another benefit of the card not reporting on your personal credit report is that when you spend money on personal cards your credit score will be hurt even if you pay your bill on time. A whopping 30% of your credit score is based on credit utilization. You can pay off your card bill before your statement is generated to avoid that, but that takes effort and laying out money well before you have to. Additionally it’s good to have the statement close with a couple dollars to show the card is active and being paid every month. On an business cards from banks like AMEX and Chase it’s just not reported, so you can wait until the money is due without it having a negative effect on your score. That also means if you close the card, it won’t have an effect on your credit score. That makes the 0% APR on a business card a very strong offer. 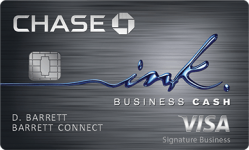 Read more about Chase Ink cards here. Will you be signing up for an Ink Cash or Ink Unlimited card? 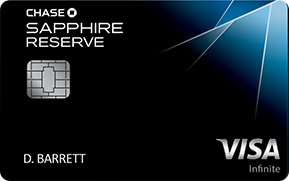 99 Comments On "Rumor: Changes Coming To The Lucrative Chase Ink Card Offers"
I had sapphire preferred (got points) few years later got sapphire reserve (100K points) does it make sense to get an Ink card now for just the points and continue issuing the reserve only? Sure, but why use the Reserve only? 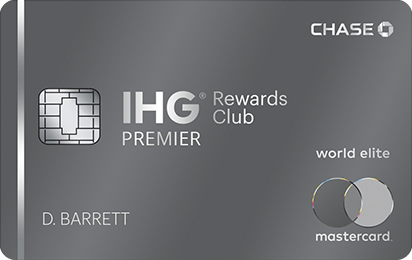 The Reserve is good for dining and travel, but the Ink cards in this post will earn more points everywhere else and you can transfer them to the Reserve to make them even more valuable when you redeem them for paid travel or mileage transfers. Chase ink business preferred offers 80K points what’s the difference? In regards to reserve your saying only keep it open for using points really? 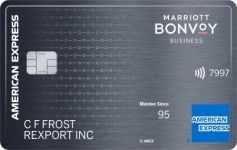 Also a very strong card and a great signup bonus, but its spending categories are very similar to Sapphire Reserve, it has a $95 fee, and it does not have 0% APR. The Ink Cash and Ink Unlimited have different spending categories. I opened up the Biz Ink Unlimited last year and got the sign up bonus, if i apply for a different Biz of mine will i get the sign up bonus again? Yes, but why not apply for an Ink Cash card? I don’t do spending in those category’s , I max out On my unlimited card every month at least once! Will there be a change to the annual fee too? I don’t have any information on potential changes. And can I downgrade from a preferred to cash or only unlimited? You can change between all 3 Ink cards (Cash, Unlimited, Preferred), though some agents don’t allow changes in the first year. Can HUCA help for that? Yes, I had to open a separate Paypal account and link the Ink card, but I have been happily getting 3x points per $ for the past 9 months. The $95 fee is more than covered by the sign up bonus (at least for the first year). If i use hertz / avis points to book a car rental, and use the ink / saphire card to pay taxes and fees, will i be convered for rental insurance? 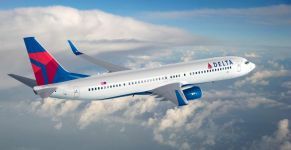 If you pay for a flight with points and the taxes/fees of the flight with that airline’s affiliated credit card, you should still get the free luggage offered on that particular airline’s credit card. I used my chase ink recently to rent a car and there were no added fees that I can recall. It was all covered by my points. Many and I still do. My wife and I have 3 ink each (all 3 varieties). I do not MS so office supply spending on GC is not advantageous for me. I just buy regular stuff we need from there for the bonus category. whats the pattern of staples gift card promos? once a month? Hi those not paying on time or defaulting on a chase ink credit card hurt your personal credit ? 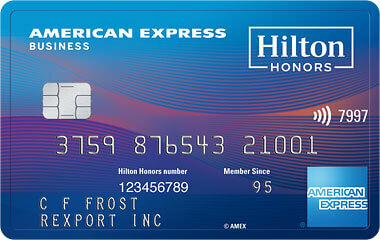 Can I just change my card to the business prefered to convert my cashback to points ? Yes, but you may not be able to upgrade in the first year. YMMV. Take the 12 months with rewards and then see what’s available to open in a year from now? ulitmate better than ink for everyday purchases that doesnt qualify for the extra bonuses, right? Thanks Dan for everything you do!!! 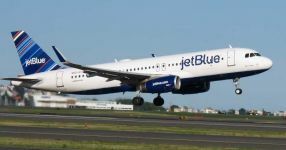 A couple of weeks ago, I applied for a Business Mileageplus Explorer. After recon, I was approved a couple of days ago. I’m at 3/24 if you assume that (a) the Mileageplus card doesn’t count towards 5/24, and (b) an Ink Business Unlimited I was rejected for last year doesn’t count either. I have another LLC that needs a card. Will I have an issue signing up for one of these now, just 2 weeks after applying for the Mileageplus Explorer? Not a hard and fast rule. Hi I want to apply for the ink unlimited. And i Have 2 business on business 1) I have the ink Preferred. Business 2) I have no Chase cards. 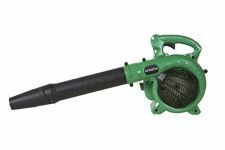 What’s your suggestions which business would I have more chances to get approved? any chase biz cards that still aren’t affected by 5/24? So can I get multiple signup bonuses one for each corp that own? What is the point of a Business Unlimited if I have the freedom Unlimited? If you have the Freedom Unlimited or Ink Unlimited then go for the Ink Cash or Ink Preferred. I got the ink unlimited even though I have the freedom unlimited simply for the 12 month promo 0% APR and the 50k signup bonus. For regular spending there’s no real difference other than perhaps not wanting the credit utilization reported on your credit report. Is there still an ink card out there that gets 5% back on office supplies with a 50k cap? No. Ink Cash is the only currently available Ink card that earns 5x and the cap is $25K/card. However you can have multiple Ink Cash cards. If you have more than one business then it’s easy, but you can get more than one for the same business as long as you have a need for it, like for specific client accounts. Hey Dan, if I’m not maxing out my ink+ $50k limit, is there any point of keeping it and paying the $95AF? If not, I could just apply for the ink cash, get bonus, transfer limits and shut it down? I could also get a new ink cash then product change ink+ to cash so I still get the 50k limit with no fee, right? Assuming you have the Ink Plus. Only advantages are no forex fees and $50K vs $25K limit. You could get an Ink Cash now and then downgrade Ink Plus to Ink Cash, yes. No need to pay it off to get the bonus. We have received your request for a Chase credit card. We’ll let you know our decision as soon as possible. You can call them or wait it out. Can i apply for both Ink unlimited and ink preferred together for one business? or its harder to get approved for 2 business card together now? You can. 2 is always harder than 1, but it shouldn’t affect your chances of getting 1. Thanks Dan!End-up applying for one only. Just realized that my credit report was frozen so didn’t get instant approval. My app went for further review due to having too much credit already. It’s not a lot also. I asked them to move some money from my other business card but still they are going to review it further. Applied for the Ink Cash and got approved (though I didn’t realize I couldn’t link the card to my regular Chase account and skipped those options for now), any reason to apply for a second one for my wife? Or should I just add her on to mine as an additional/employee user? Only need $3,000 for each card, not $5,000. As long as the links still work you are good to go. Though I have a Sapphire Reserve already but she doesn’t, so probably may as well use it on my card then, so I can transfer points. She can transfer her Chase points to your Sapphire Reserve as well. Thanks Dan for all your help! 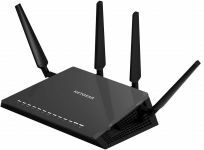 Doable online or over the phone. I just applied via your link for he chase cash card – thank you! The application said pending review. So I called and they had questions which I answered. First rep recommended the application for approval but said it has to go for higher second level approval. So I huca’d And they said nothing I can do but wait the week or two for the second review in the mail. i still see the offer when i click on your link. is it possible its still available? Yes, as long as the link works you are good to go. Will there be a change to the ink preferred? The Ink Preferred is now 80.000 bonus for $5000 spending. Been 80K for a while. “You can receive a signup bonus on each type of Ink card once every 24 months for each business that you manage” Doesn’t say once every 24 months in offer terms. Is it possible to get it twice for same biz within 24? I noticed this long ago and have been supriesed no one she checked into it… There is absolutely no 24 month language. Got approved today for the Chase Business Unlimited. I would like to try for the chase business cash as well. Both will be as sole proprietorship. Do I have a chance ?